The only public charter secondary school to serve the suburbs held their graduation this week and guess what? All 71 members of the senior class are graduating. The school - Southland College Prep Charter School - almost didn't get off the ground. Because the public school was protecting their turf. Four years ago, Southland College Prep Charter High School was fighting to get up and running. Rich Township High School District 227, where Southland’s students come from, argued that the charter school would divert much-needed state aid and sued to shut it down. 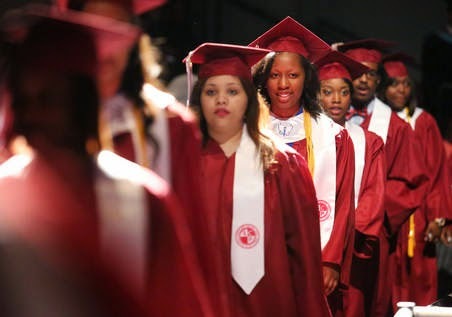 The districts since have put the conflict behind them and Southland’s first group of graduates, who got into the school not based on academic performance but by lottery, were offered more than $7 million in merit scholarships and are headed to prestigious colleges like Northwestern, Vanderbilt, Tufts, Penn and Columbia University. Hello Mike Frerichs and Campaign Staff! Glad to Have You Aboard the Truth Team! What a nice early Mother's Day present for us here at the Truth Team! What is that present, you ask? It is that - during a radio interview this week, our favorite latex salesman Illinois Treasurer's candidate, talked about how he reads the Illinois Truth Team. We've been watching in the site analytics and noticing a lot of repeat visitors from Springfield and Champaign (as well as Chicago...'hi guys! '), so we've been operating under the assumption that our guy has been reading our stuff. But...now we know! As posted on the News-Gazette and on the Dave Gentry and Elizabeth Hess show, Mike Frerichs talks about how we're getting under his skin. Take a listen to his own words. Guess what guys? We're winning. Yeah...there's an old adage in politics that is: if you're explaining, you're losing. Mike having to talk about the nonsense we're putting up means we're getting to him. And with that ego, that's totally expected! Let's keep it up. Interviewer: "Mike as you move forward with your campaign, are you finding that - i mean i read editorials about you in our very own News-Gazette, and some comments in the paper - what do you say to your detractors that are - how do you handle some of the negative publicity, negative detractors?" Mike Frerichs: "I don't think you can focus on that, and I think there are some people because of partisanship are going to find problems with you, they're going to attack you. One of the blogs I was being attacked for posting too often on Facebook. I like people to know where I'm going to, who I'm talking to - it's funny, you didnt see those people complaining about our current treasurer when he posted on facebook - you realize a lot of them are partisan-motivated. You can't let it drag you down, you just have to keep your eyes focused on things you can control and on things you want to do, and hope the people will see the difference." Interviewer: You mean that some complaints are partisan? Mike Frerichs: "...I get that, I've been involved in this business for awhile. It can be tough when people call you and say "i cant believe what I just read about you" - its coming from our opponents campaign, its coming from someone with a partisan agenda, you can't believe it - do your best to get out, give the message, that's all you can really control and you develop a little bit of a thick skin in this business." A bigger problem for a politician, one can not have. But (Mike Frerichs) clearly doesn't know what he really thinks, and, when candidates don't know what they believe, they say whatever seems convenient at the moment. Voters can understand politicians disagreeing with them. What they can't understand are liars and folks who will say ANYTHING just to get elected. We were just shared this image of Illinois Treasurer's candidate Mike Frerichs sobbing in the shower this morning. Why you ask? Well...because his hometown newspaper (once again) took him behind the woodshed this morning. Champaign state Sen. Mike Frerichs, the Democratic Party nominee for state treasurer, faces Republican Tom Cross in the November election. But in the meantime, he's having a vigorous debate with himself about a mostly dormant proposal to merge the treasurer and the comptroller offices. He's for it one day, against it the next and for it the next. Frerichs' latest position, enunciated Tuesday in Springfield, is that he favors merger of the offices, a move that would save taxpayers an estimated $12 million. 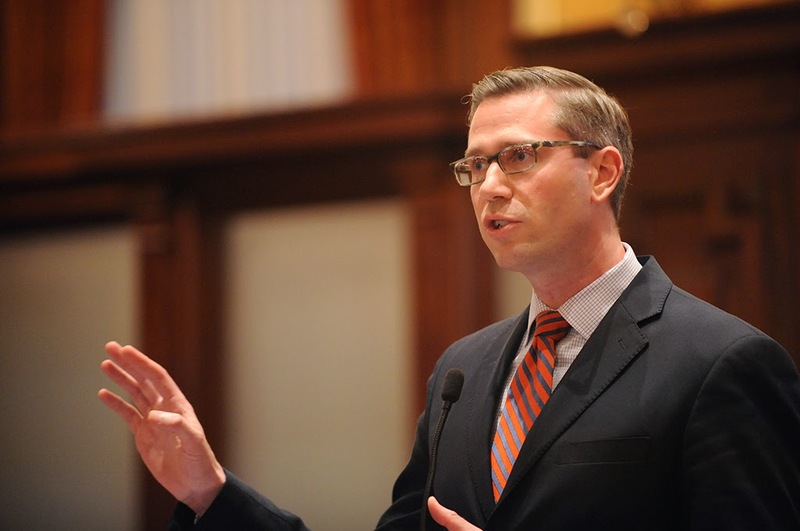 "If we can get those strong internal controls and checks and balances, then yes, I think we should take action to save money for the people of the state of Illinois," he said. But he gave a different answer a couple days earlier to Chicago radio station WBBM. "People have said to me, 'Wouldn't it just be a lot more efficient if we just had one financial officer?' And I've said yes, we could become very efficient, efficient like the city of Dixon, Illinois, who just had one chief financial officer and she was able, from this small little town, over several years to take something like $52 million away from them." Previous to those conflicting quotes, Frerichs was on record as favoring the merger, having voted in 2011 for a proposed constitutional amendment to put the question to the voters. But he clearly doesn't know what he really thinks, and, when candidates don't know what they believe, they say whatever seems convenient at the moment.